When Rollin Hook (BSMetE ’56) decided to make a gift to Purdue Materials Engineering, he had two goals in mind: honor his late wife, Lois, and create the largest financial impact possible for students. When the endowment is fully funded, it will be the school’s largest scholarship to date. Through the Lois J. Hook Memorial Scholarship, Rollin has been able to accomplish both goals — and leave a lasting legacy with the institution that means so much to him. Although Lois did not receive a degree from Purdue, Rollin says she was an enthusiastic and longtime member of the Boilermaker family. While they were dating, he frequently would drive from West Lafayette to East Gary, Indiana, and bring her to campus for dances, ballgames and other events. At Purdue, much of Rollin’s social life centered around the Triangle Fraternity. When Lois came to campus with him, she stayed with some of the gals who were dating his fraternity brothers. 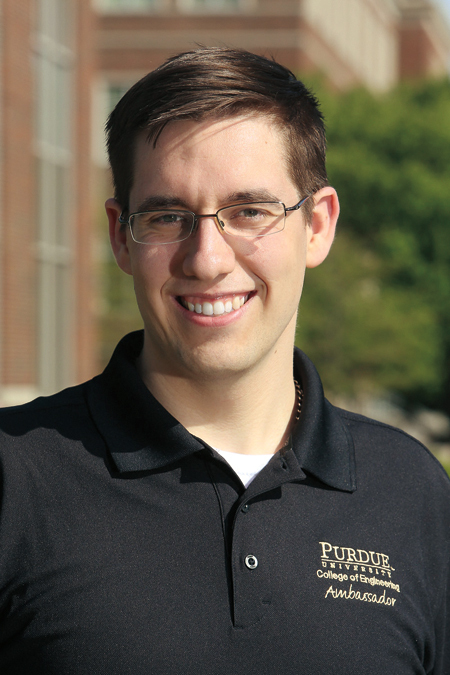 One of Rollin’s favorite Purdue memories outside the classroom was thanks in part to his training as a metallurgical engineer. He and another fraternity brother played a prank on the rest of the house. Although his career path took many turns after leaving Purdue, Rollin says the education he received helped ensure success along the way. After serving in the Air Force, he went into the steel industry. Eventually, he earned a master’s degree and a PhD in engineering from The Ohio State University. Because Rollin established the scholarship as an endowment, the scholarship fund will grow in perpetuity. In his estate, he names the Purdue Foundation as the beneficiary for two annuities — which eventually will make the Lois J. Hook Memorial Scholarship the largest in the School of Materials Engineering. Through his estate planning, Rollin has pledged to make a sizable gift to the school. During the interim, he has taken advantage of one’s ability to donate IRA rollover funds to charity. “Leveraging that useful rule,” he says, “I was able to provide funds for the School of Materials Engineering in 2016 and 2017.” These generous funds from Rollin allowed the school to immediately help students in need by awarding scholarship money during the current and prior years. Rollin says he is impressed by the growth of Materials Engineering under the current leadership, which provides so many opportunities for students to have hands-on experiences through internships and research projects. David Bahr, head and professor of materials engineering, says the Hook Scholarship enables engineering students to focus on career preparation. 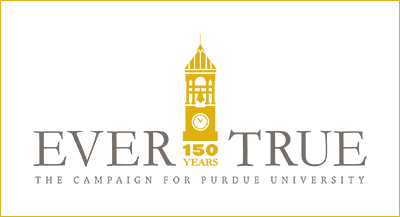 Although the School of Materials Engineering has one of the largest student bodies of any such program in the country, it is one of the smaller engineering disciplines at Purdue. As a result, Bahr says, it does not have a large alumni base. It is important to Rollin that the scholarships go to students truly in need of financial assistance to complete their Purdue education. Phillip Gordon, who received the first Lois J. Hook Memorial Scholarship, says the monetary support has helped him immensely by reducing the amount of his student-loan debt. Rollin says he hopes his gift inspires other alums to give, either through the Lois J. Hook Memorial Scholarship, or by establishing their own scholarship fund. To support scholarships or the School of Materials Engineering, contact Robyn Jakes, director of development, at 765-494-4094 or rnjakes@prf.org.